Ms. Shafarman is faculty at American Conservatory Theater’s MFA program, Berkeley Rep School of Theater and San Francisco State University’s Department of Holistic Health. 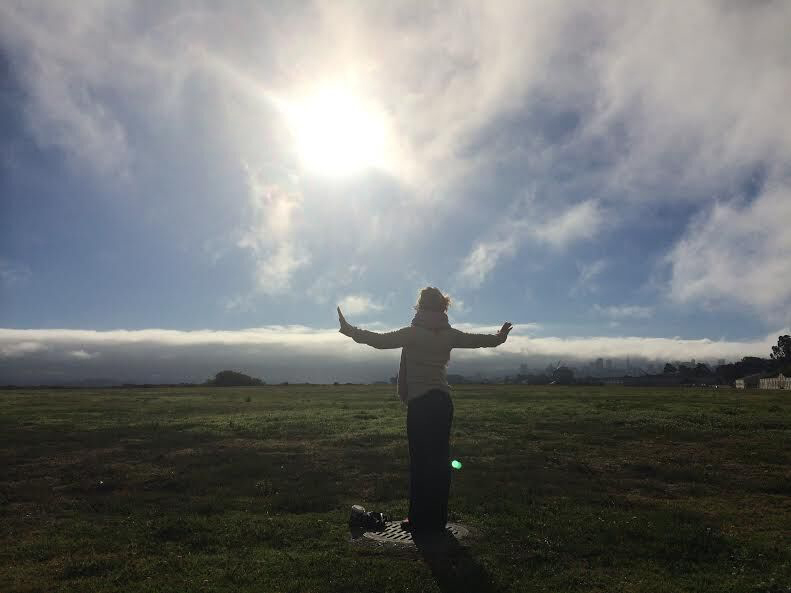 She maintains a private Alexander Technique practice in San Francisco and Berkeley, where she works with performers and everyone else to enhance alignment and ease. She holds a Master’s degree in Physiological Psychology (2003), where she studied the scientific underpinnings of the mind-body connection, and conducted original research showing Alexander Technique reduces muscle tension for computer users. She trained with Frank Ottiwell at the Alexander Training Institute of San Francisco (2003), and assisted Ottiwell’s classes for actors at American Conservatory Theater for many years. Ms. Shafarman’s background as a professional modern dancer and training in Psychology, Yoga (RYT 200), and Mindfulness Based Stress Reduction influence her approach to teaching. She writes regularly about mind-body connections on her blog and dances every day. 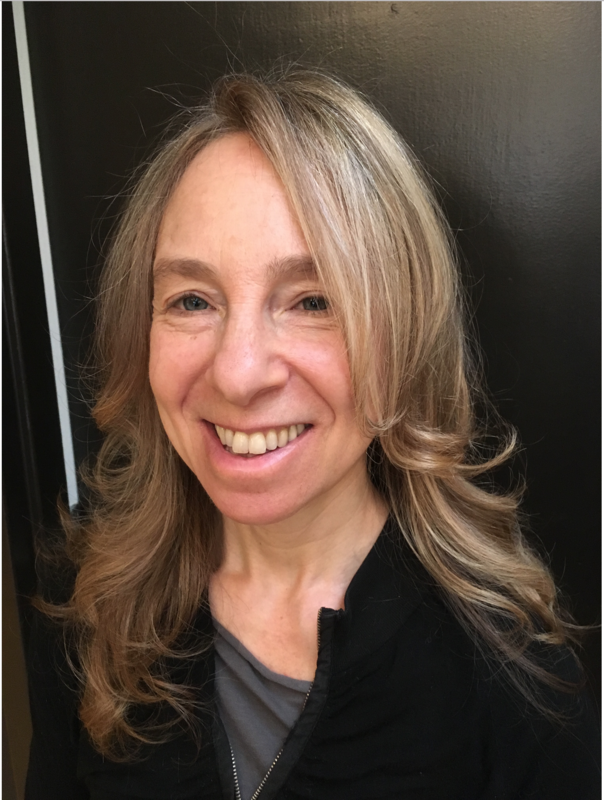 She has taught Alexander Technique workshops throughout the Bay Area at diverse venues including Elephant Pharmacy, The French American International High School, Jeffrey Bihr Studio, The Osher Center, Pricewaterhouse Coopers and The San Francisco Public Library. In addition to the rigorous 1600 hr Alexander Technique Teacher training required for national certification, Ms. Shafarman has pursued advance training in Mindfulness Based Stress Reduction (60 hr Teacher Training Practicum), Reembody Method (200 hr apprentice program), Vinyasa Yoga (200 hr teacher training) & Svaroopa Yoga (50 hr). She has studied allied somatic modalities including Body-Mind Centering, Feldenkrais, Gyrotonics, Pilates, Somatic Experiencing Work, and personal training. Her knowledge of movement is rounded out by a life time of dancing including Ballet and Modern, Afro Haitian, Afro Cuban, Salsa, Swing and Argentine Tango. Unlocking the power of the mind to free the body, and the intelligence of the body to free the mind is my passion. I’m delighted to help people of all ages and vocations rediscover joy, freedom and ease in embodiment. Ever since I was a dance major at SUNY Purchase, I’ve been fascinated by the bi-directional connection between thought and physical state. Perception, cognition and emotion all affect, in measurable ways, our balance of hormones, degree of muscle tension, rate of breath, state of alertness, tone of voice and even quality of performance as artists. And more mysteriously, the unconscious conditions of our body can play back and affect our conscious mental state. This fascination has led me into scientific research and somatic practices. I began my study of the Alexander Technique as a Modern Dancer at SUNY Purchase. Conservatory training is rigorous. The harder I worked to improve my dancing, the more my neck, shoulders and hips locked up with tension. My best efforts were having a detrimental effect. My first Alexander teacher was Jane Kosminsky, who was also a dancer. Those early lessons affirmed the basic logic of the body as a structure designed* to move at joints, designed to move without strain. The Alexander Technique immediately improved my balance, extensions, jumps and pirouettes and gave me a delicious sense of lightness and ease; as though I was floating. The fascinating bit was that these improvements did not come through muscular effort or striving. Efficient coordination emerged as I learned to first recognize and then stop habitual tension reactions. Physical training could not be separated from my mental, emotional and psychological life. 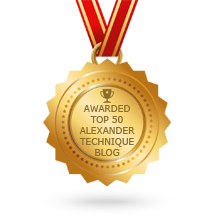 These days, I am thrilled to help my clients discover the Alexander Technique to reduce stress, refine movement and open creative channels in performance. And, the Alexander Technique helps me walk backwards in Tango Shoes. Alexander Technique is a time-honored method used by actors to improve posture, breath, and movement. Effective movement liberates your acting skills and enriches your life. As you stop responding to the world in a habitual manner, new avenues of physical ease and creativity open up. Discover the Alexander Technique for mind-body balance. Let your body’s physical genius emerge!